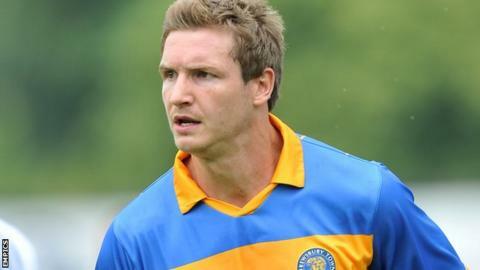 AFC Wimbledon have signed York City centre-back Dave Winfield on a one-month loan deal. The 26-year-old former Aldershot, Wycombe and Shrewsbury man has made just five appearances since joining the Minstermen last summer. "Dave has been on our radar for a while and we tried to sign him during the summer," Dons boss Neal Ardley said. "At this time, Dave fitted the bill for us. With six games in 24 days coming up, we needed someone like him." Ardley had been looking to bolster his defensive ranks because of injuries to centre-backs Andy Frampton, Jake Goodman and Will Nightingale, while Mark Phillips is suspended for their next three matches.